Recruitment Solution | Tudip Technologies Pvt. Ltd. 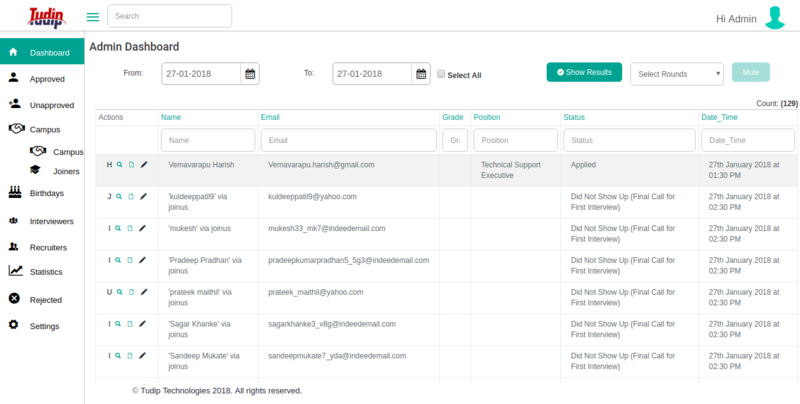 The dashboard shows the data of the scheduled interview for particular dates and interview rounds. The new candidate can be added and the registration request of the candidates can be approved or unapproved with the application. The candidates request from job portals can be view and approved or unapproved with the help of the application. The data of campus recruitment drives to the colleges, institutes, and consultancies can be managed. The confirmation details of the new joiners can be viewed and managed easily. 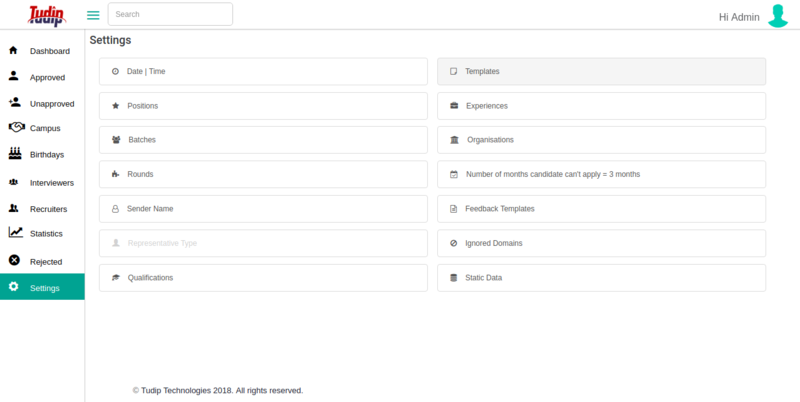 Interview panel members can be managed with the application. The application can generate the report of the total interviews taken between the selected time of interval. The settings panel consist of several options. 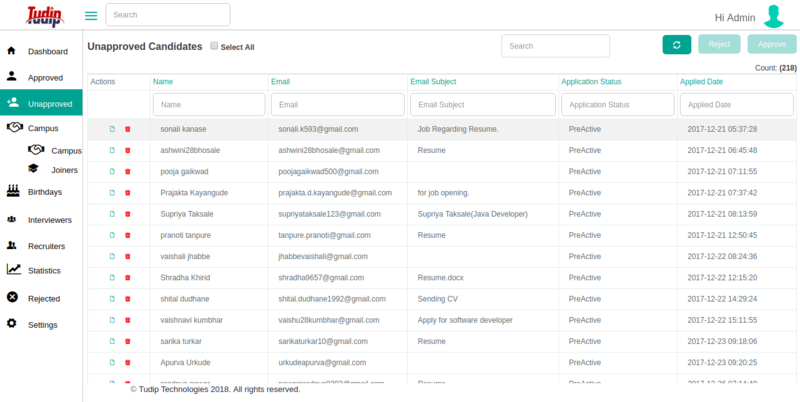 The management of email templates, jobs positions, batches, interview rounds and much more can be done through the settings.